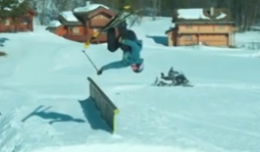 Norwegian professional skier Oystein Braten has done the first ever flip on and off of a park rail. 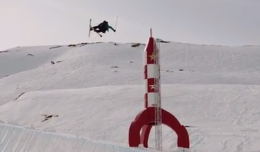 Joffrey Pollet-Villard put the pressure upon himself to break the world record for highest superpipe air on skis. He achieved his goal with a height of twenty-six feet and three inches. 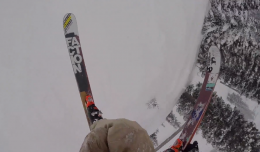 Owen Leeper takes some backcountry laps at Jackson Hole Ski Resort. Enjoy. 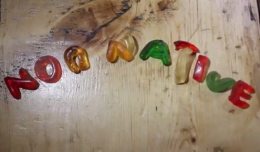 This is the fifth episode of Tanner Hall’s web series Tanner Hall’n. 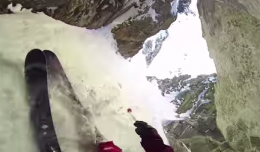 This is the highlight video from the Subaru Freeride Series stop at Telluride. Big shout out to local skier Mark Mikos for claiming third. Congratulations Mark! 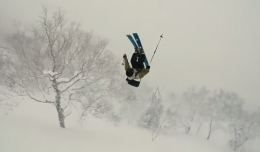 This skier learned the hard way to always look before you leap. 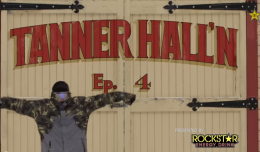 Here is episode four of Tanner Halls web series Tanner Hall’n.